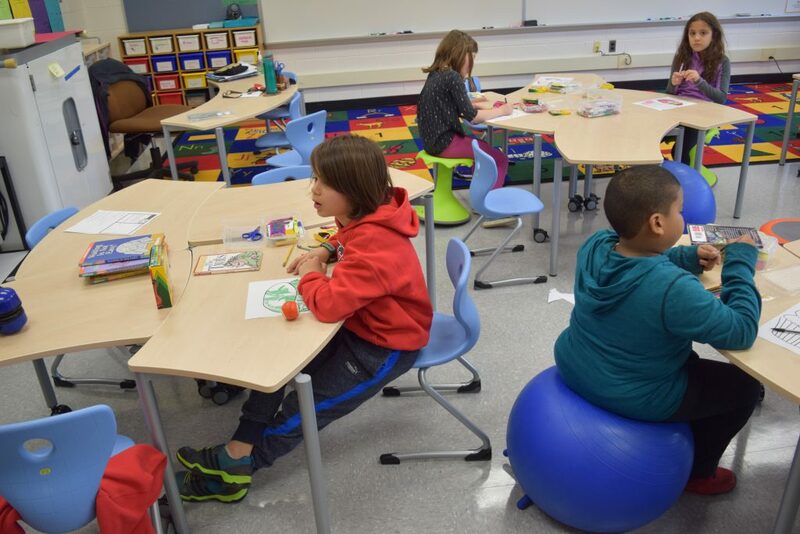 Students at Allen Elementary are already enjoying more furniture options, thanks to new furniture purchased through the 2015 Bond. The Board of Education approved the purchase of approximately $3.2 million of furniture from VS America and Steelcase this week. This is the first phase of classroom furniture purchases being funded thanks to voters approving the 2015 Bond. Approximately $10 million from the bond proposal will be spent on classroom environment. The recommendation comes after a process that took over a year to get input from people throughout the district. An advisory committee of teachers, principals, and community members reviewed current conditions in Ann Arbor Public Schools, considered current furniture options, and then established ideals for classroom furniture. Then Students, teachers, other staff members, and the community got to test out how furniture from several vendors actually worked in model classrooms across the district and gave feedback. Mr. Carnegie’s 5th grade classroom at Haisley Elementary served as one of the model classrooms this school year. In addition to being designed for more student movement, the furniture itself can be more easily moved than traditional classroom furniture. This allows teachers to rapidly reconfigure their classroom from a lecture style setting, to small groups, or other formations. 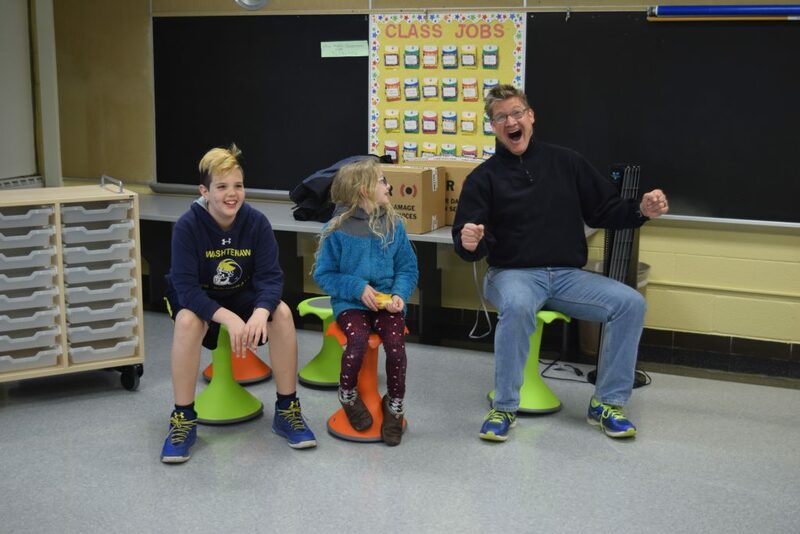 Allen Elementary students and their parents got to try out new stools at an Open House before the school re-opened this year after flood damage was repaired. 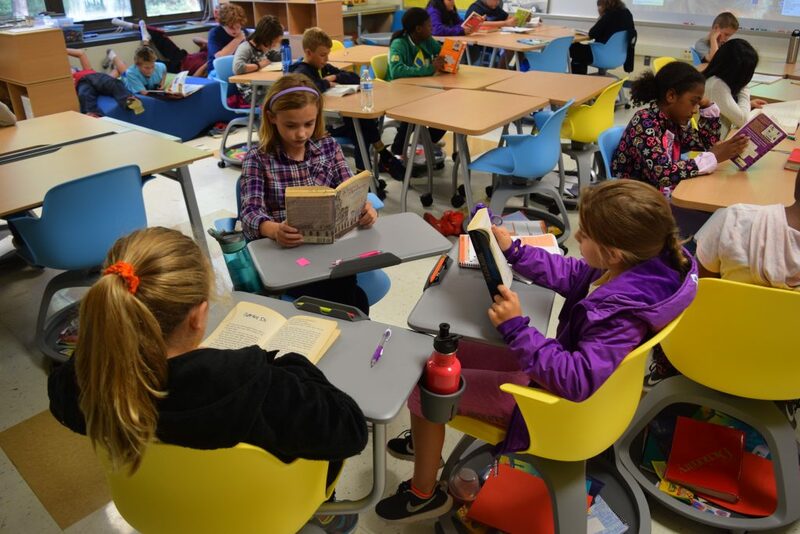 Abbot, Bryant, Carpenter, Eberwhite, King, Lakewood, Pattengill, Pittsfield, and Wines Elementary Schools, and Clague, Forsythe, and Scarlett Middle Schools will receive furniture in the first phase. All AAPS schools should benefit from better furniture next year though since furniture being removed from those 12 schools can replace the worst furniture in other buildings. Additional phases will bring new furniture to all schools.